A great way to reset yourself in just a week. 13 August 2018 Anna F.
Twice with Prestige, finally a review! Two weeks that brought me back to me! Tough but fun - you leave feeling great! One of the greatest experineces and challenges of my life! If you are sitting on the fence wondering - DO IT! New You mind and body every time. Prestige never ceases to amaze this couch potato! Somerset Boot Camp October 2017!! Highly recommended - I'm really glad I went. Get involved...your body will LOVE you for it!!! A complete physical and mental reset! You won't find better - be prepared to get hooked! Hopes, dreams & aspirations, smashed! great escape from London or working life in general! amazing mind clearing, body cleansing and fitness week. Best week of my life, that is why I am having three more! Life changing - and I lost 15.4lb in one week! Fantastic opportunity to kickstart a healty lifestyle. Professional, organised and effective - Definitely recommended! Change your life with Prestige! I achieved what I wanted, and so much more. LOCATION AND STAFF MAKE IT ALL WORTH WHILE. This is THE BootCamp to go to! 6 stars - yes really! Challenge yourself and surprise yourself. Another fabulous week with great results! Very hard but really worth it! Left camp with less inches but gained an incredible experience, encouragement and guidance! An Amazing and life changing experience! Thank you! *Disclaimer: These are real customer reviews from guests who have attended a Prestige Boot Camp. Please note that the weight loss; health; exercise; and mindset results/benefits reported may vary for each individual. 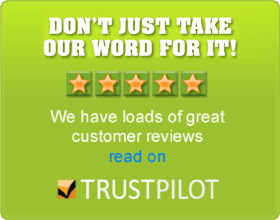 All our testimonials have been obtained & verified via the Google approved independent review site Trust Pilot.